I do declare these are amazing! A 5 star breakfast for sure! Word to the wise, eat one and ruuuuuuun out the door so you don’t keep eating them like I did! I wanted something different than the weekly norm. Except I didn’t want to put a lot of effort into it. 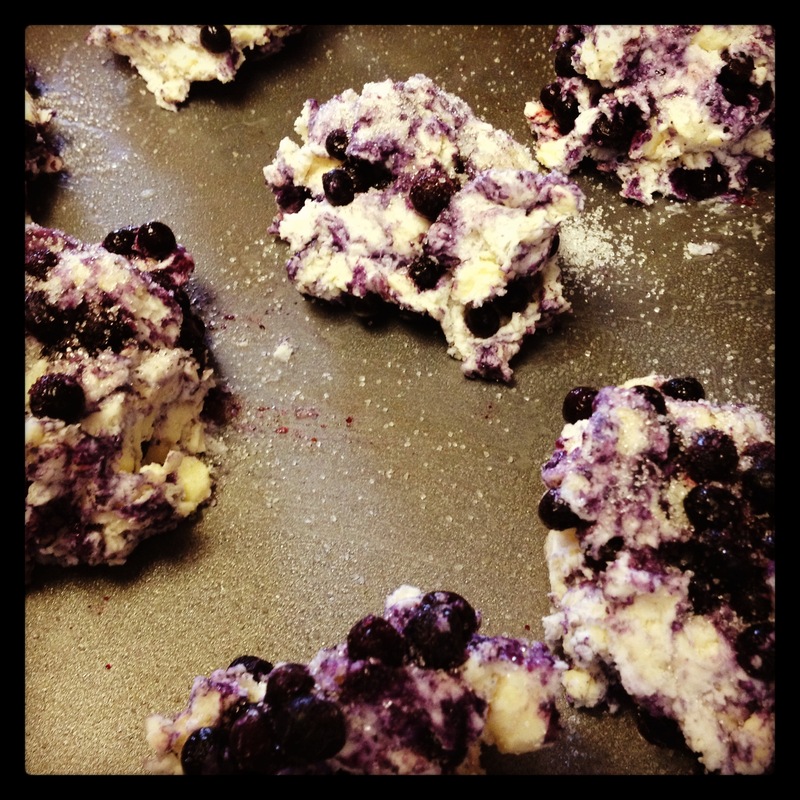 I saw a blueberry muffin recipe and a biscuit recipe and then a blueberry biscuit recipe. I was like “ah yeah!”. Except that blueberry biscuit recipe called for popular name brand biscuit mix that we no longer eat (because it’s soooo processed) so I found this recipe and it’s most definitely a keeper! It’s just as easy to measure out the flour and baking powder as it is measuring out that biscuit mix! Pinky swear! 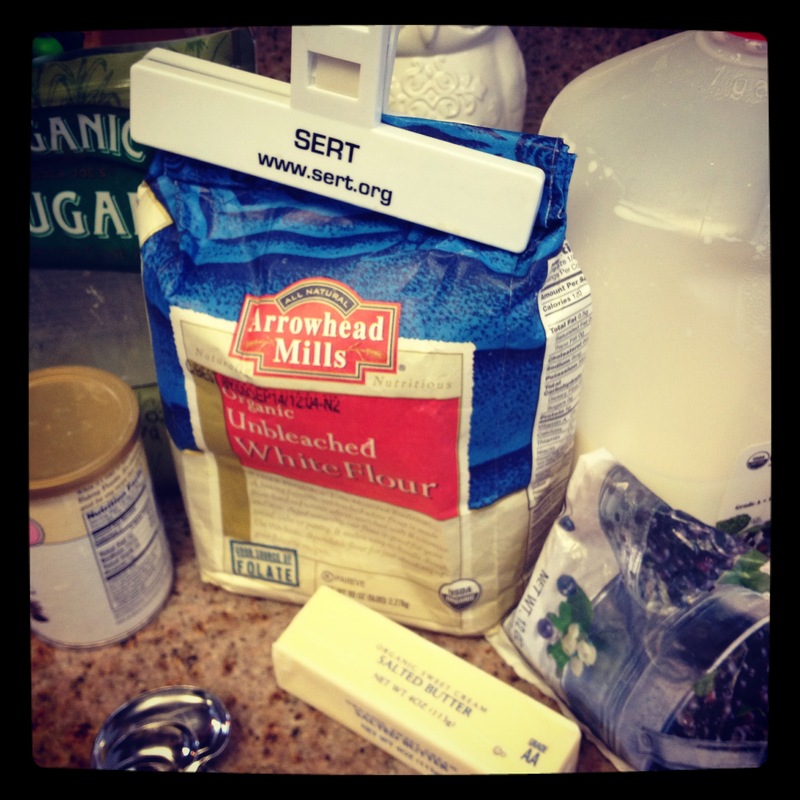 Measure, mix, plop, bake, eat. Can’t get much simpler than that! Preheat oven at 450 degrees F. Grease baking sheet. In medium bowl, mix flour, baking powder, and salt. Cut in butter with a pastry cutter. Stir in milk just until flour is wet. Fold in blueberries. 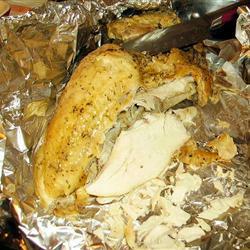 Drop by large spoonful onto greased baking sheet. Sprinkle tops with sugar. Bake at 450 degrees F for 15 minutes or until done. Anyway, here’s my bit on turkey legs: They’re gross. I used to LOVE them when I went to amusement parks or fairs or the like, but the last time I got one at Magic Mountain a few years back (by the way, that was a sad day. That was the day I learned I had officially become old. Wahhhhh!!) That day included the best laugh I think I have ever had in my whole entire life! We rode Goliath and on the way down the biggest drop, the G forces took over and made my right eye close which made me giggle, which is hard to do when you are hurling through space by the way, which made me laugh even harder. When we got off we looked at our picture and I swear I looked like a cartoon with my tongue hanging out of my mouth like a dog! My husband and I were in absolute hysterics!!! The kind where you can barely stand, much less breathe, and the tears stream down your face (if you were able to stand up), but you weren’t because you thought you were going to die from not being able to breathe, and you had to maintain some sort of composure because you are in public… Ahhh hahahahaha! Of course we bought the picture and if I can ever find it again, I’ll gladly post it! (Ohhhhh, good times! Good times!) Now where was I? Turkey legs, oh yes! That turkey leg was so full of cartiledge I had to peel it back to get to the meat. Gross. I figured it was the hormone laden variety that made it so, but friends, I was wrong. The organic turkey legs from Whole Foods had cartiledge too… yuck. Of course, these turkey legs weren’t made from turkeys on steriods, so they were smaller. Back to the recipe! I just used plain organic whipped cream cheese because that was all that was available. I followed the rest of the recipe exactly. Unfortunately since I’m learning the ins and outs of crockpot land, I had no idea how long to cook the legs and ended up cooking them way too long. I set the timer for 3 1/2 hours and they were already way past done at three hours. I must say I am willing to try this recipe again. It wasn’t a 5 star recipe, but I think that was because of the lack of the breast. My family enjoyed it along with mashed potatoes and a box of Trader Joes stuffing. I’d try it again! Meatless Monday, cheers! My husband thinks he doesn’t like today, but he does. He just doesn’t want anyone to know. He’s from the mindset that you must eat meat at every meal. I’m not sure why this is. But a lot of people are like that! If vegetarianism were about eating a salad all the time, I’d think I’d have to eat meat too, but it’s not. There are so many fabulous dishes out there that are so crazy packed with flavor, you just don’t miss the meat. Really. I speak the truth. And my husband will tell you the same, via ESP, so that he wouldn’t have to say it out loud, I’m sure of it. This recipe was fairly easy enough, not much to it prep wise, which is super nice! I had a meeting tonight so I wanted something easy to throw together before I ran out the door in an effort to beat the traffic… ahhhhhhh, the LA life. The only thing was that I hadn’t timed the cooking of the spaghetti in with the cooking of the sauce, so my husband had to finish that part up, which means I DIDN’T GET TO EAT ANY! At least not hot, the night of. I actually ate it cold the next day. I love me some cold spaghetti! It was good cold and I’m sure it would have been great hot. You’ll have to let me know! As for the ingredients, I love garlic. My husband finally had the nerve after a few years to tell me he did not love it, so I cut up two garlic cloves instead of an entire head, and I used half the amount of onion because, again, I always seem to have extra large onions, so now I’m cautious. This recipe had so much flavor! How could it not with garlic, cranberries, kalamata olives & feta? I think I would make this again. I’d like to try it hot and fresh. I’d give it 4 stars, but I’m on the quest for a plethora of five star recipes! 1. Heat olive oil in a heavy skillet over medium heat until it shimmers, then cook garlic, stirring, until golden, about 3 minutes. Transfer garlic with a slotted spoon to paper towels to drain. Cook onion in the remaining oil over medium heat, stirring occasionally, until softened, 3 to 5 minutes. Add dried cranberries and cook until plumped, about 1 minute. 2. Add kale leaves into onion mixture with water and 3/4 teaspoon each of salt and pepper. Cook, covered, over medium-high heat until almost tender, about 5 minutes. 3. Meanwhile, cook pasta in a pasta pot of boiling salted water until al dente. Reserve 1 cup pasta-cooking water and drain pasta. 4. 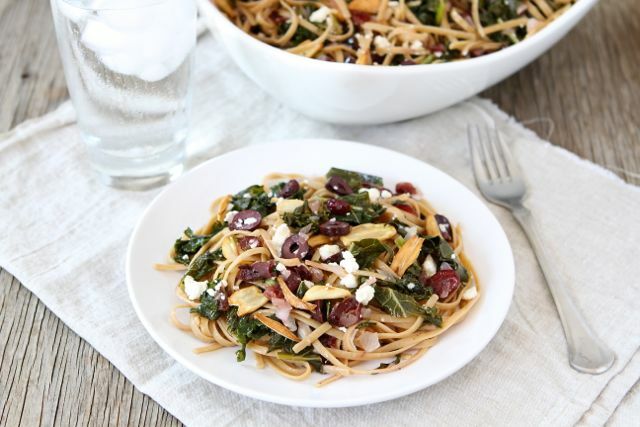 Toss pasta with kale, kalamata olives, and 1/2 cup pasta water. Season with salt and pepper. Sprinkle feta cheese and garlic chips over the pasta dish and serve warm. Seriously! I can’t believe it’s not meat! Ok, well, it’s been awhile since I had beef so maybe it’s not that tricky, but it sure has a great texture and it looks like ground beef! I thought I’d be able to trick my husband, but I got too excited about how it looked, I told him what it was called before he took a bite. He’s not a huge cooked tomato fan, but he’s a trooper. He said he liked it, and I believed him. Now, this is a Martha Stewart recipe so it’s complicated and involved. I don’t think she does anything simple, does she? I did start this earlier than normal so it could have the full two hours to simmer and acquire the full intensity of flavor. I admit, after I put this in my menu planner, I set the calendar on my phone to remind myself… and then, funny thing, the alarm went off, I read the message and thought “what the heck?”. Haha! My brain is full, packed to the brim I tell you. Shoot, if it weren’t for my menu planner and my Meatless Monday, Taco Tuesday, Crock Pot Wednesday, I’d have no idea what day of the week it was! Know what I’m saying? I halved this recipe because there’s 2 1/2 of us and we don’t often have time for leftovers. It made plenty for four people. I made garlic toast (literally buttered bread with garlic salt & oregano sprinkled and popped in the toaster oven) and a veggie, but a salad would be great with this too. And heck, don’t let that Grenache go to waste! I think I’d make this again, but I’m not quite sure. It was good, but 5 stars good? I don’t know. Will I toss this recipe? No. It’s good to have a homemade spaghetti sauce recipe on hand. Cheers! Place onion in the bowl of a food processor; process until finely chopped. Transfer to a small bowl and set aside. Place carrots and celery in the bowl of a food processor; process until finely chopped. Transfer to a small bowl and set aside. Place mushrooms in the bowl of a food processor; process until finely chopped; set aside. Heat olive oil, cloves, cinnamon stick, pepper, basil, oregano, rosemary, and thyme in a large pot over medium-high heat; cook until cinnamon stick begins to unfurl, about 2 minutes. Add onion and 2 teaspoons salt; cook, stirring, until onion begins to brown, about 5 minutes. Add carrots and celery; stir to combine. Cook, stirring occasionally, until mixture is browned, about 12 minutes. Add mushrooms and cook, stirring occasionally, until liquid is released, about 4 minutes. Add tomatoes and cook, stirring occasionally, until liquid is slightly reduced, about 4 minutes. Add 1 cup water and wine; bring to a boil. Reduce heat to medium-low and simmer, stirring occasionally, for at least 30 minutes and up to 2 hours for a deeper flavor, adding an extra 1/2 cup water after one hour. Add Herbes de Hebron and butter; cook, stirring occasionally, for 5 minutes. Meanwhile, bring a large pot of water to a boil. Add remaining tablespoon salt to boiling water and return to a boil. Add pasta and cook according to package directions, until al dente. Drain and add to pot with ragu; toss to combine. Serve topped with freshly grated cheese. Not imaginative, I know. And yet another meal we’ve had before, many, many times! But here’s the deal. We are working on living on a budget, which means eating out a lot less. *SIGH* We love to eat out. Love, love, love it! I especially love it when I don’t feel like cooking, which is often when I’m pressed for time. So what does one do when you used to go out when that happened? Cook something fast and easy, that’s what! I’ve been trying to freeze leftovers for situations like this, but sometimes that’s not practical. Like today. We visited my parents this weekend and came home on Sunday. I knew I wasn’t going to feel like cooking after spending 3 1/2 hours in the car and there wasn’t going to be enough time for heating up something in the oven, so I planned turkey burgers! They cook in about 15 minutes, so while they’re cooking, I’m slicing cheese, tomatoes, pickles and washing the lettuce. This time I “fried” an egg to put on top of my husband’s burger to change it up a bit! He LOVED it! I super cheated this time. I bought frozen turkey burger patties from Trader Joes. I could make my own, and if I ever think ahead enough, I will. I have an amazing meatloaf recipe that makes super flavorful burgers, which I’ll share one of these days! 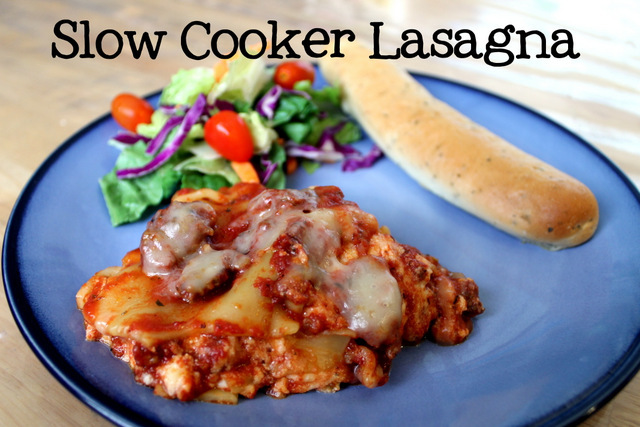 Crock Pot Lasagna- It’s Another Keeper! My husband loved this recipe. Loved, loved, loved it! I took our daughter and went out of town this weekend and he told me he ate it for two lunches and a dinner while we were gone. Now that is a high rating from him if he ate it for four meals! I didn’t halve this recipe because I wasn’t sure what would happen to it, other than be super flat, and ended up freezing the other half for another dinner when I don’t feel like cooking. (Our freezer is filling up fast!) Another note about this recipe is that I waited too long to get it started and I turned it on high for about an hour to an hour and a half and then turned it to low for two hours. One section of the exterior got a bit dark or, um, burned, but the rest of it was fine, so I guess you can just watch it if you are in a rush or just chance it and cut it off if need be. Again, my thought that lasagna is hard to make was squelched! I mean, how hard is mixing and layering ingredients?! Maybe I think it’s hard because if you order it in a restaurant you have to wait for it, making my brain think it’s hard work, rather than it’s just a made-to-order menu item? No idea. But it’s not hard, at all. I’ll make this again because it was so good and easy. And my husband will be happy! And wrong. Wrong, wrong, wrong. He finished his dinner and said “That was so good! Too bad we’ll never see it again!”. Ha! WRONG! 1. Cook sausage and onion in 10-inch skillet over medium heat 6 to 8 minutes, stirring occasionally, until sausage is no longer pink. Drain. 2. Stir in tomato sauce, Italian seasoning, and salt. 5. Spread with half of the cheese mixture and one-fourth of the sausage mixture. Top with 5 noodles, remaining cheese mixture and one-fourth of the sausage mixture. 6. Top with remaining 5 noodles and remaining sausage mixture. 7. Cover and cook on Low heat setting 4 to 6 hours or until noodles are tender. Note: Do not try to cook on high, the outside edges of the lasagna will burn. Trust me on that one. 8. Sprinkle top of lasagna with remaining 1 cup mozzarella cheese. Cover and let stand about 10 minutes or until cheese is melted. Cut into pieces and serve. This is a big, fat, unfortunate “no way” for me. (Even though the picture looks delicious!) However, I LOVE big flavor so if you don’t love big flavor, then give this one a try! 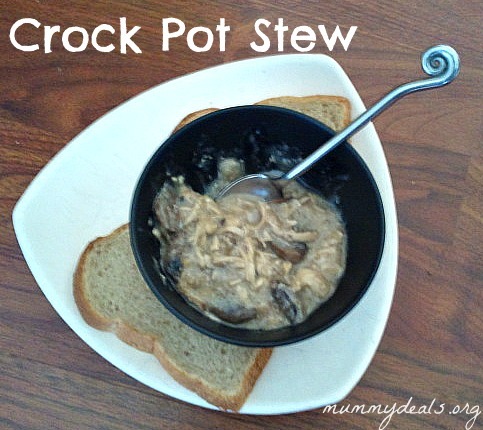 I am always on the hunt for crock pot meals and since I don’t eat beef or pork and am not super crazy about beans, it’s pretty dang hard to find a crock pot meal that I can make! I found this blog that referred to this blog as the “Top 10 Slow Cooker Meals of 2012”, so I checked it, and low and behold it was mostly chicken meals! Woo Hoo! Except, after saving them all to my meal planner and I then reading the blog, I discovered that the woman was from England… which, stereotypically, means meals that are most likely not full of flavor. Or so I am thinking. We shall see. However, the first of all the crockpot meals I planned, this was a big sad dinner. It was totally flavorless which could be because I don’t eat pork and therefore used turkey bacon, and unfortunately it cooked too long, which was my fault because I did one hour on high because I was yet again in a hurry (I need a time management manager!) and then 1 hour on low and I only made three chicken breasts. Anyway, I should have known there wasn’t much flavor just by the simple ingredients. If you are one to tweak recipes to your liking by adding things, please do. I will not make this one again because there are too many recipes and so little time! Add the bacon to the bottom of the crock pot. Place the mushrooms on top and add the chicken breasts on the top. Pour the wine over and then fill the bottle with cold water and pour that over the whole thing. Cook on low 4-6 hours or high 2-3. Open the slow cooker and sprinkle in some corn starch to thicken. Stir fast to thicken the sauce.